With the large variety of nest boxes on the market today, finding the right one for your birds can often be a case of trial and error. Nest boxes come in all shapes, sizes, material and price. So what qualities do you look for when selecting the right nest box? Plastic – Made from plastic means these nest boxes are very durable and not very easy to break. I still have my very first S.T.A Soluzioni plastic nest boxes in service today, some 5 years has passed since I purchased them. They can be re-used many times over. Variety – This nest box comes in two main designs. “Wide entrance hole” nest box and the “round hole entrance” nest box. The wide entrance hole provides easier access for slightly larger birds and is suitable for birds that like to see what is going on outside the nest during incubation. 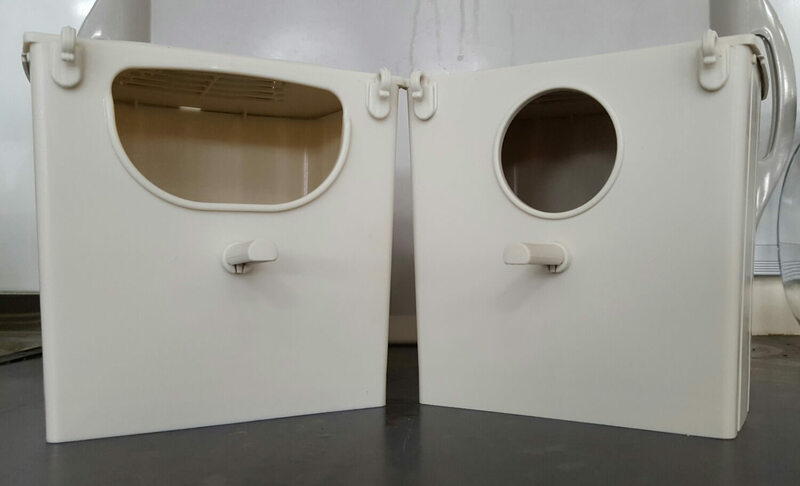 The round entrance hole nest boxes is much more suitable for more private birds that wish to feel more secure within the nest box. Adaptation – With the option to purchase a wooden concave, these nest boxes can be adapted for budgies. With the nest boxes dimension measuring 120mm x 110 mm x 135(h)mm it is the perfect size for medium to large finches and anything else up to budgie size. 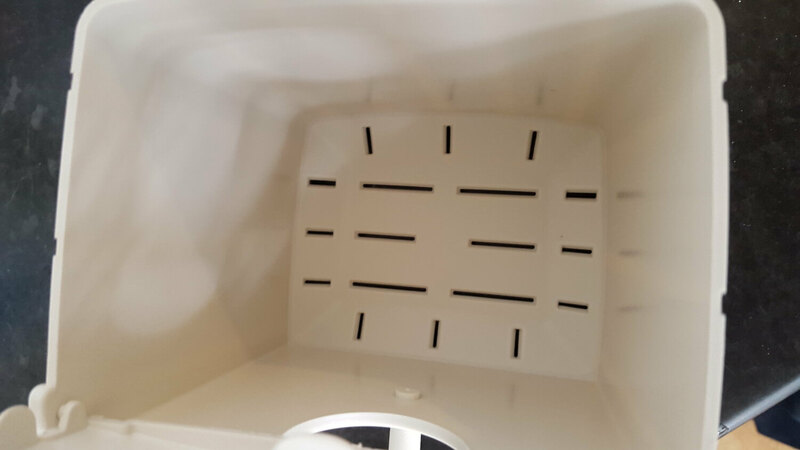 Easy Access – With a spy hole opening and grill built into a separate opening lid, the nest box provides easy access to check on your incubating birds and get your hand into the nest box if any necessary reasons arise. 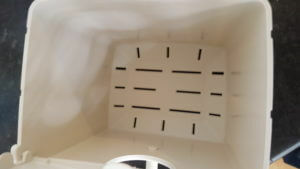 Air Flow – A few fine groves built into the base of the nest box provide a grill like opening allowing fresh air to circulate throughout the nest box. 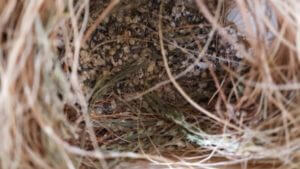 Fresh air can move between the entrance hole and base of the nest box preventing air stagnation for sitting parents and newly hatched chicks. Economical – Did I already mention that this nest box can be re-used over and over again? 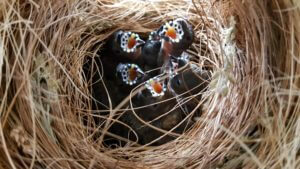 Well it’s certainly worth mentioning again, especially when you can expect to only pay between £3.75 -£4.50 per nest box. (2017 price range). You get more than your money’s worth with this nest box. Positioning – Both varieties of this nest box come with plastic hooks which allow for easy positioning and clipping to cage fronts. If you are breeding your birds in aviaries then these nest boxes work just as well positioned on shelves. 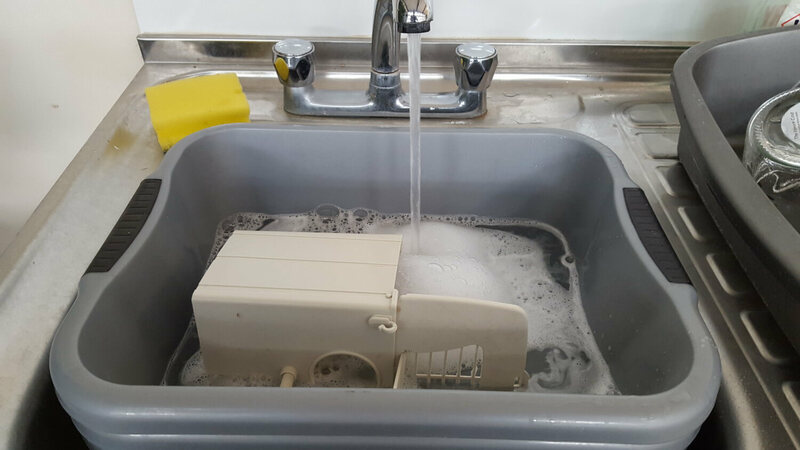 Hygienic – The plastic material of the nest box is very easy to sanitise and clean. Once left to soak in warm soapy water, any bird droppings soiling the nest boxes are very easy to clean. 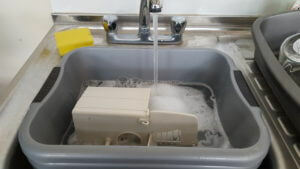 In-fact it is so easy to clean that a quick scrub can have your nest box looking like brand new. The plastic material prevents any type of staining or discolouration. So there you have it! Some great reasons to be using S.T.A Soluzioni’s plastic nest boxes. 10/10 from me and highly recommended! For anyone wishing to purchase this fantastic nest box please click here for the wide entrance style nest box and here for the round entrance hole style nest box. We only like to stock the best available products here at Planet Aviary, both these nest box varieties can be found in either a green or beige colour from our store. If you’ve not used these nest boxes before then all we can say is that you will not be disappointed, that’s for sure! Appreciating the time and energy you put into your blog and detailed information you present. It’s nice to come across a blog every once in a while that isn’t the same outdated rehashed information. Great read! I’ve saved your site and I’m including your RSS feeds to my Google account. An impressive share! I’ve just forwarded this onto a co-worker who had been conducting a little research on this. And he in fact ordered me breakfast simply because I found it for him… lol. So let me reword this…. Thanks for the meal!! But yeah, thanx for spending some time to talk about this topic here on your internet site. Excellent guide. Some great advice here. Will be sharing this with a fellow bird geek whose Firetails started nesting. Thank you!